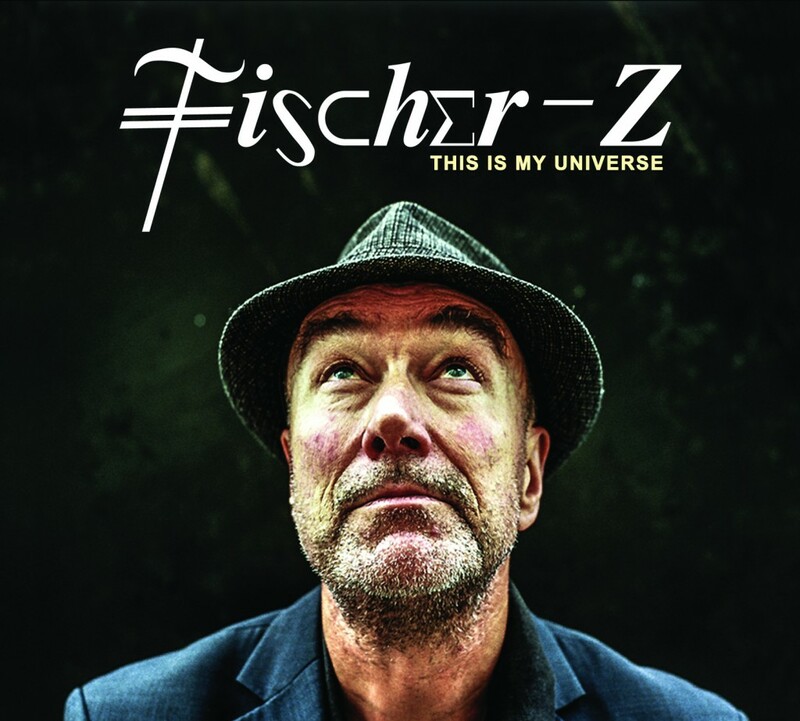 Discussions Magazine Music Blog: FISCHER-Z: An EXCLUSIVE Q&A with JOHN WATTS! Watts first came to the attention of the music-buying public when his band Fischer-Z released their debut album, Word Salad, in 1979. While distinctly British, Fischer-Z were unlike any of their contemporaries –intelligent, witty, well-written songs played by a band fueled by the energy of the Punk movement. However, their arty quirkiness was more in line with U.S. bands like Talking Heads. When they released their second album, Going Deaf For A Living, the following year, the band scored a hit with “So Long,” which even earned them plenty of airplay in the U.S. By the time they released their beloved third album, Red Skies Over Paradise, in ’81, they’d lost their keyboardist, Steve Skolnick, and the support of their U.S. label, who decided not to release the album in the States. Though the album did extremely well in Europe – the single “Marliese” remains one of their most popular tracks – the band split up and John Watts pursued a solo career. Here is where things get a little confusing, so please follow along: after two brilliant solo albums – One More Twist (1982) and The Iceberg Model (1983) – Watts formed The Cry with former FZ bassist David Graham. After one album, Quick Quick Slow (1984), The Cry split. John resurfaced three years later with a new FZ line-up and a slickly-produced hit album, Reveal (1987). From this point on, FZ became a vehicle for John Watts and a talented cast of supporting characters. Fish’s Head was released in ’89 and marked the end of the brief but wonderful ‘modern’ FZ sound. Beginning with 1992’s Destination Paradise – their best album yet – Watts stripped the songs down to their basics and didn’t focus on production or technology to carry the songs. While he has continued to dabble in the latest production techniques since then, the focus of every release has been the ‘feel’ and message of his incredibly emotional songwriting. Kamikaze Shirt (1993) and Stream (1995) were his final two releases as Fischer-Z…for the time being. Thirteen Stories High was released in 1997 under the name J.M. Watts. Bigbeatpoetry (1999) and Spiritual Headcase (2000) were released under the name Watts. Briefly returning to the FZ moniker, Ether hit the shelves in 2002. Confusingly, more solo releases followed: Real Life Is Good Enough (2005), It Has To Be (2006) and Morethanmusic (2009). In 2011, he released the album Fischer-Z 2011, which found him re-inventing some of the band’s most beloved songs. And during all of this time, John has toured Europe and elsewhere numerous times, playing to diehard fans and touching a new generation of fans. STEPHEN SPAZ SCHNEE: This Is My Universe has just been released. How are you feeling about the journey to get this album made and the reaction to it so far? JOHN WATTS: It took a long time administratively to put it out, but the reactions to it have been extremely favorable. SPAZ: This Is My Universe seems to be a rebirth of sorts for Fischer-Z. Do you feel that all the paths that you’ve taken over the years have led to this new album? JOHN: Yes, but that’s true of all new work. SPAZ: The album is yet another amazing release in a catalog filled with amazing releases. What keeps you inspired and passionate nearly forty years into an outstanding career? JOHN: Thank you. Most artists are driven to express their view of the world via their art form. My main one is writing songs and putting out recordings. I still have as great a desire as ever to write about all the things in the world that move me. SPAZ: For This Is My Universe, did you have a preconceived idea on how you wanted the album to sound or did it evolve organically? JOHN: It evolved as the way that Nick Brine and I work together, but as always I had certain references to measure up to. SPAZ: As a songwriter, your words and music always seem to work so well together. Do you think of lyrical ideas first and work the melodies and chord changes around those? Or are the lyrics inspired by the music? Has your method of songwriting changed over the years? Or do you stick with a tried and true formula? JOHN: I’m inspired to write words, sometimes about an event or feeling or something that evolve from words themselves. SPAZ: You’ve managed to change and grow with the times while also maintaining your own distinct style and sound. Do you stay on top of what is happening in the charts or do you tend to avoid those kinds of influences when creating your own music? JOHN: I have always listened to as much new music as possible. All things historic are stored away in my brain. Overall I probably listen to less music than most people! SPAZ: Are you more concerned now with moving and inspiring the listener than having hit singles? There are very few songwriters out there who have been recording for 36+ years and still sound as relevant and vital as John Watts…In fact, there are very few NEW songwriters out there with your passion. JOHN: Thank you. My biggest interest is in having as many people as possible listen to my work. I think all artists hope for a degree of universality. SPAZ: You’ve been an internet presence for many years. You’ve embraced many different types of media to enhance your art (music, film, etc). However, streaming music has become a hot topic as of late. How do you feel about the state of music and technology today? JOHN: I embrace all new technologies. All artists have great difficulty in getting their heads above the internet parapet – There’s so much ‘stuff’ out there! SPAZ: You’ve released albums under a variety of names including Fischer-Z, John Watts, The Cry, JM Watts, and Watts. Do you think that this may have been a bit confusing to the average record buyer who tried to follow your career in the days before social media made it easier to keep up? JOHN: Yes! But especially with the pulling together of all things FZ next year for the 40th anniversary will hopefully demonstrate the clear line of evolution. SPAZ: The new album is obviously very near and dear to your heart, but do you have any personal favorite albums/songs over the years that you feel may have been underappreciated? JOHN: Yes. Thirteen Stories High! SPAZ: What’s next for John Watts and Fischer-Z? JOHN: A big 40th anniversary year including another new FZ album and a number of other releases. SPAZ: What do you currently have spinning on your CD/record/DVD/Blu-Ray players? JOHN: The new Iggy record, The Last Shadow Puppets, Pretty Vicious, Kendrick Lamarr, The Tall Ships and Tame Impala.